Jemma, a former pupil of Llanfair Caereinion High School, joined Wace Morgan in 2012 shortly after completing her law degree at the University of Chester. She then went on to study the Legal Practice Course (LPC) at the University of Law in Chester alongside her Training Contract, gaining a distinction and receiving the Knight’s Award for the student obtaining the highest mark in the Advanced Property paper. 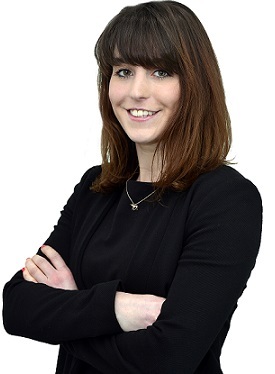 Jemma qualified as a Solicitor with Wace Morgan in March 2016 and joined Wace Morgan’s Commercial and Civil Litigation team, specialising in property litigation (including boundary disputes and landlord and tenant matters), business and contract disputes and contentious probate (contested wills and probate). She divides her time between the Shrewsbury and Newtown offices. In her spare time Jemma enjoys horse riding, keeping fit and spending time with family and friends.